The Vutec 54 x 96" Elegante Motorized Front Projection Screen can turn your simple classroom, boardroom or learning lab into a real visual experience. 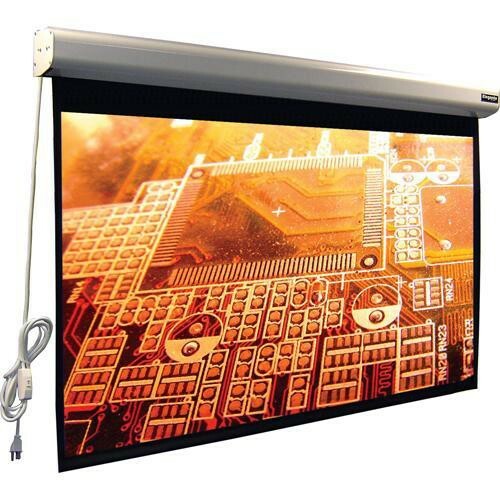 This reasonably priced screen, with its built-in motor, is an all aluminum constructed system. It features Vutec's unique EZ-Mounting System for rapid installation. The convenient in-line plug makes it even easier to use - a single person can perform the entire installation procedure. As options, you can add either an infrared or RF remote control as well as a low voltage universal relay (both available separately).